The manufacture of photovoltaic cells is a costly process, both economically and in time. The silica with which photovoltaic cells are manufactured is a very abundant material on Earth. However, the processing of silicon is laborious and complicated. By means of very complicated processes, silicon ingots are made. Subsequently, these wafers ( photovoltaic cells) will be cut from these silicon ingots. Another source for obtaining silicon is the recycling of the electronics industry. At present, other higher performance materials are being prepared. It is important that all the cells that make up a solar photovoltaic panel have the same characteristics. After the manufacture of the photovoltaic cells, it is necessary to follow a process of classification and selection. Depending on the construction, the photovoltaic modules can produce electricity from a specific range of light frequencies, but in general it can not cover the entire solar range (in particular, ultraviolet, infrared and low or diffuse light). Therefore, much of the energy of the incident sunlight is not used by the solar panels, which could give much higher efficiencies if it is illuminated with monochromatic light. Therefore, another design concept is to divide the light into different wavelengths and direct the beams in different cells tuned to these ranges. This has been projected to be able to raise efficiency by 50%. Scientists from Spectrolab, a subsidiary of Boeing, reported the development of multi-union solar cells with an efficiency of more than 40%, a new world record for photovoltaic solar cells. Spectrolab scientists also predict that concentrating solar cells could reach efficiencies of more than 45% or even 50% in the future, with theoretical efficiencies of around 58% in cells with more than three junctions. Currently, the best rate of conversion of sunlight into photovoltaic solar energy in new commercial products achieves an efficiency of the solar module of around 21.5%. The main application of a photovoltaic solar energy installation is the production of electrical energy from solar radiation. Energy production can be large-scale for general or small-scale consumption for consumption in small dwellings, mountain shelters or isolated sites. Photovoltaic installations for grid connection, where the energy produced is used entirely for sale to the distribution network. Photovoltaic installations isolated from the grid, which are used for self-consumption, be it an isolated dwelling, a telecommunication relay station, water pumping for irrigation, etc. Within the applications of photovoltaic solar energy not connected to the grid we find in many areas of daily life. Photovoltaic solar energy is used in small devices such as calculators, as for street lighting in certain areas, to power electric motors and even cars and airplanes have been developed that work exclusively by taking advantage of solar radiation as an energy source. Within the photovoltaic installations connected to the network there are solar photovoltaic power plants. A photovoltaic power plant, also a solar park or photovoltaic power statio, is a large power generation plant, designed for the sale of its production to the electricity grid. It is also known as a solar farm, especially if it is located in agricultural areas. The photovoltaic solar energy generated with the photovoltaic effect was recognized for the first time in 1839 by the French physicist Becquerel. However, it was not until 1883 that the first solar cell was built by Charles Fritts with an efficiency of 1%. During the first half of the 20th century there were several improvements to increase its efficiency. In 1946, Russel Ohl patented the modern union between semiconductor materials that is currently used. But the most important technological advance came in 1954 when Bell Laboratories, experimenting with semiconductors, developed the first silicon photovoltaic cell, with a yield of 4.5%. «La fotovoltaica ya se codea en costes con la nuclear». El periódico de la energía. A photovoltaic panel is a set of interconnected photovoltaic cells. Its function is to generate electricity through solar energy. Set of elements that make up a photovoltaic solar installation. Differences between an autonomous solar installation and an installation connected to the electricity network. 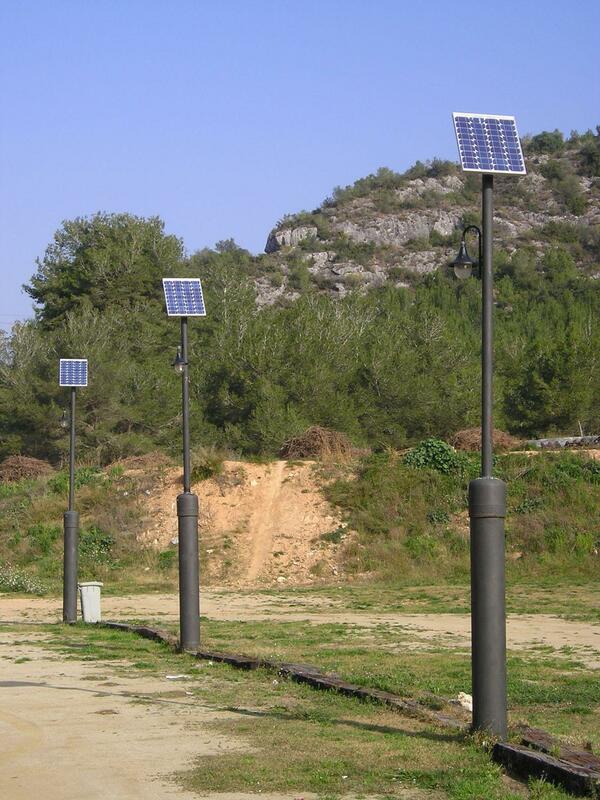 Applications in which the use of photovoltaic solar energy in different fields. Applications in isolated systems and connected to the electrical network. The photovoltaic installations connected to the electric distribution network have the possibility to sell the generated energy. 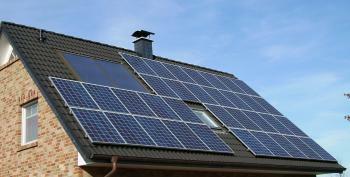 Photovoltaic solar energy installations isolated. This type of installation has no access to the mains. All the energy generated is for your own consumption. Description and characteristics of the main photovoltaic installations in the world. India, China and the United States are the undisputed leaders.